How To SAVE Some GAS MONEY? Here Are The 8 SECRET Tips! - Muscle Cars Zone! How To SAVE Some GAS MONEY? Here Are The 8 SECRET Tips! This video presents 8 great tips that not everyone knows of and will help you stay longer on the road! You will definitely save money if you use at least some of them! These are some of the SECRET Tips. Watch the video to find out all of them! We guarantee, you are going to feel the difference in your wallet after a while! Don’t hesitate what’s better between driving with windows/sunroof down or with the AC on. Open windows increase drag at higher speeds hurting the fuel economy. Don’t rush to put gas unless you are almost empty. Less fuel means lighter car. However, make sure you have enough gas in your tank if you go on a longer trip! We bet you will use this one the most! After you have put gas in your vehicle, turn the nozzle upside down before returning it. This way, you’ll pour couple more ounces of gas that are stuck in the hose! Tightly close your gas tap after refueling. With this you are preventing gas evaporation as well. Also, find a parking spot under the shade. Prevents evaporation as well. Want to discover more SECRET Tips related to this topic? 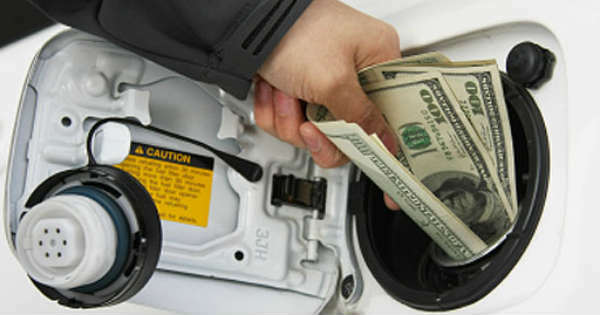 Follow this link to read Forbes` 10 savvy ways to save on gas.